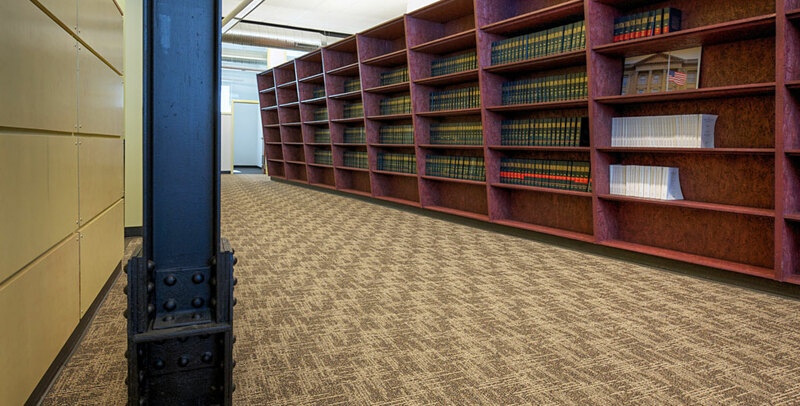 The new Federal Public Defenders Office has transformed the second floor of a turn-of-the-century urban building near the Federal Courts into a team workplace environment. 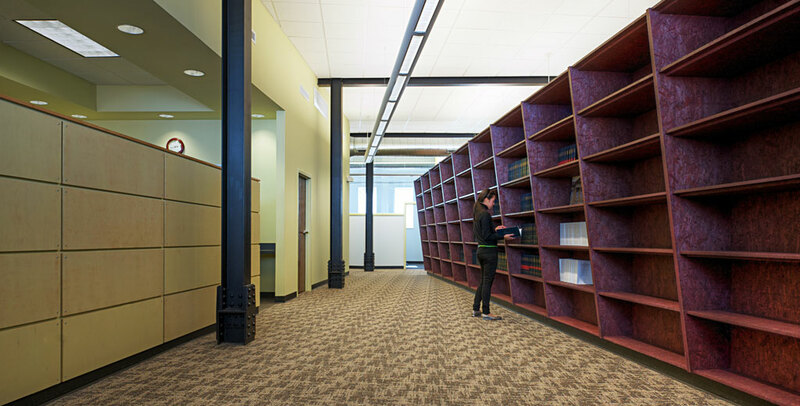 The 4,500 SF space is organized by two defining elements – the Administrative support core, and the canted Reference wall surrounding a large work room. 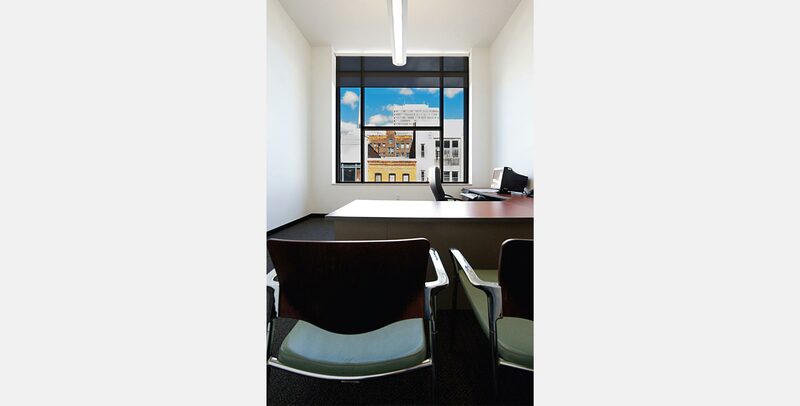 The balanced relationship between the two creates a central movement zone providing dynamic flow between the private office spaces at the East windows and the conference spaces at the West windows. 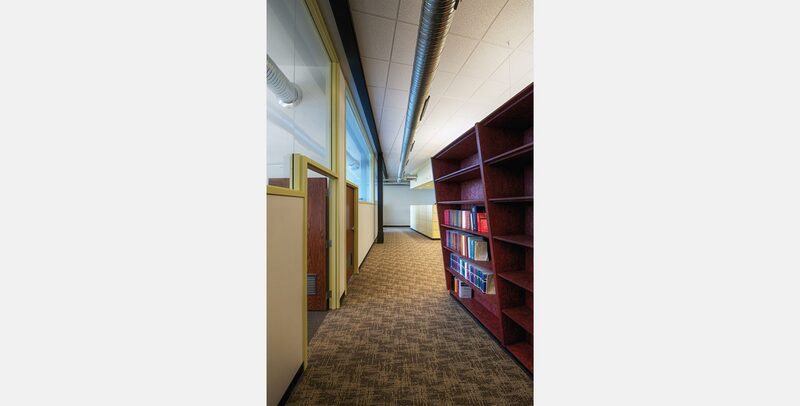 Secondary circulation surrounds the back of the volumes and adds variation to the choices for interaction. Teaming can spill out into the main movement zone and the spaces can convert into a unified work zone when needed. The civic scale of the space is reinforced by the high ceilings, exposed riveted columns and beams, and the expansive Reference wall. 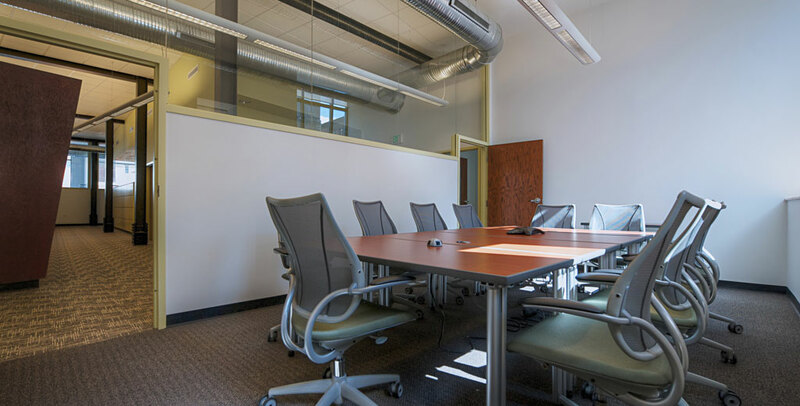 Interior glass walls contribute to the sense of transparency and collaboration in the work environment and allow natural daylight to permeate through the space. The interconnectivity and flexibility of the spaces allows for fluid interaction and workflow.